All of this public scrutiny is taking a toll on Canadians’ perceptions of the platform nearly six-in-10 (57%) say they use every day. 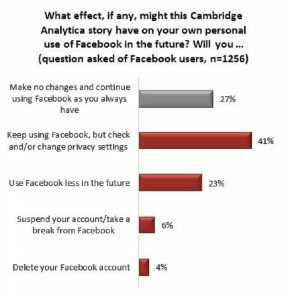 Even before the latest Cambridge Analytica story broke, Facebook was the large tech company Canadians were most likely to view unfavourably. 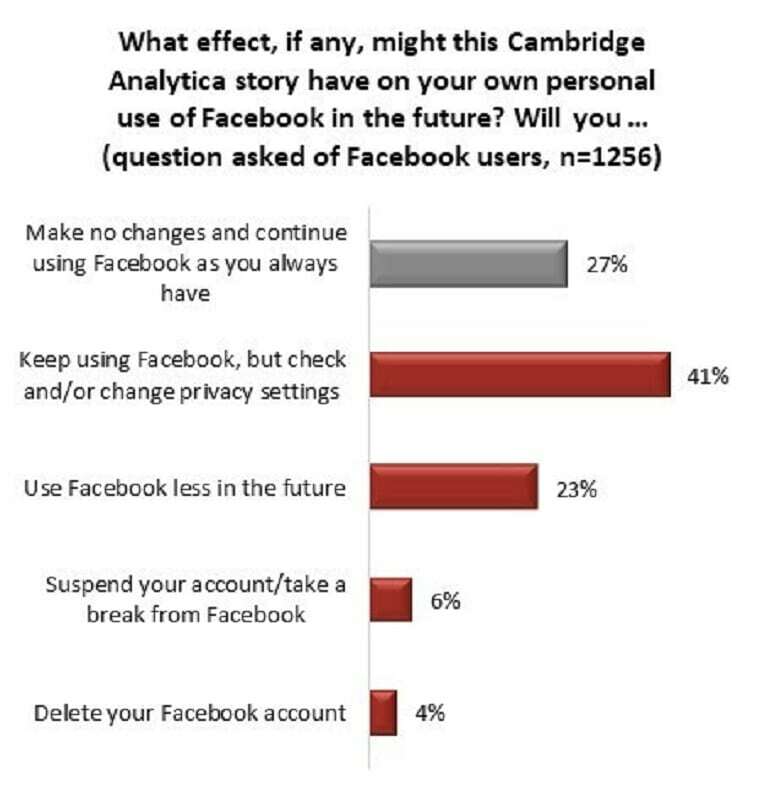 Now, 38 per cent say their opinion of the social media giant has worsened in the last month. Twitter, Facebook driving couples to break relationships!